With its simple booking process and exceptional customer service, LA Charter Bus Company has helped schools all across Southern California book safe, reliable charter buses. We have access to a variety of buses to accommodate your elementary school, high school, college, university, or any other academic organization. Call us today at 310-667-6197 for a personalized, no-obligation quote today! Safety is our primary concern when it comes to school charter bus rentals. We only work with experienced drivers who are up-to-date with all of California’s safety regulations. They must also meet our own standards for professionalism and excellent driving skills. During your trip, students can watch movies on your bus’s TV monitors, and faculty will enjoy the comfort of cushioned, reclining seats. You can also choose from other premium amenities such as air conditioning, restrooms, DVD players, WiFi, and more. Traveling to an upcoming tournament with your team? Your little league, club, or collegiate team will have plenty of storage space thanks to your bus’s luggage bays and overhead compartments. Easily stow overnight bags, training equipment, and gear without sacrificing the comfort of your passengers. No matter which school you go to in Los Angeles, we’ll help you plan safe transportation to and from fraternity and sorority events, competitions, academic seminars, conferences, and more. 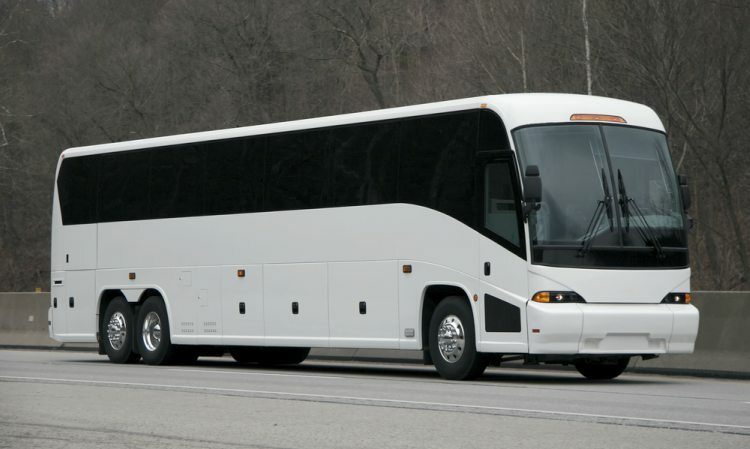 Our team is available 24/7 and can often secure a bus for your group in two hours or less. Ready to get started? Call our friendly reservation specialists today at 310-667-6197 to receive a quote and answers to any questions you may have. We’re looking forward to serving you!